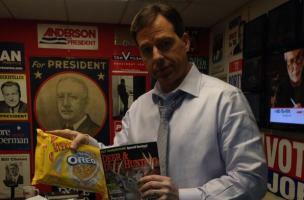 Jake Tapper and the crew at “The Lead” have adopted a soldier and are sending him a care package. Makes ya feel warm and fuzzy because there is still some good left in the world / terrible because you will not do this, probably. The adoptee is an 18 year old (soon to be 19 year old) from Pennsylvania whose tour will be up in November. Tapper says the group Homefront Hugs asked him to adopt the soldier and they “seemed like a cool and heartfelt program” so he agreed.